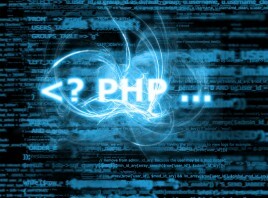 All of the following snippets will be placed in functions.php file in the active theme directory within the php tags. This will de-register the default jQuery that comes along with WordPress and hooks it from Google CDN which provides improved loading speed. One disadvantage is that you need to keep it updated manually. Although you can get the latest jQuery version by removing the version number at the end e.g. 1/jquery.min.js, I do not recommend it since some of your plugins may not be compatible yet and certain scripts could stop working. It happened to me! Does your client always need RSS widget or Links Widget? Does the website even uses a blog or a news sections? Here’s a snippet that will remove the default widgets. If you want to leave a widget turned on, you can just remove that specific line. Everything will be much cleaner and easy to use. The following snippet will enable the editor stylesheet and add an ID to the back-end visual editor so you can match the text style with the one in front-end. For more advanced users and for a more flexible CMS with custom buttons I believe that Kitchen Sink should be enabled at all times. This is a great way for adding custom classes for the client. Let’s say you have a class bt for fancy links buttons and you want to make it easy to insert that class in the visual editor. Use the following code and you’re all set. For more details and style ideas on this topic please visit: Mastering the TinyMCE Styles Dropdown in the WordPress Visual Editor. // ALLOW IFRAME IN HTML. DOES NOT GET DELETED. This could work great if the website doesn’t have a fancy-box functionality or doesn’t need to open images in a larger view by default. The images can still be hyperlinked after upload if needed. Definitely a time saver! // STOP HYPERLINKING THE IMAGES ON UPLOAD! This useful snippet can be used most of times when the website have a blog or a news section and we want a read more link right after the excerpt. If the website doesn’t use comments, you can remove the Comments menu from the main back-end navigation to make back-end less cluttered. By default WordPress adds a bunch of confusing dashboard meta boxes. I suggest removing most of them using following. It will still keep the summary with pages and posts. Adding branding on a WordPress website is a nice touch for quality websites. Don’t forget to upload the upload the logo in the images directory and adjust the size. This will replace the small WordPress logo in the upper left header. Upload an image logo-top.png 20px X 20px in your images directory and you’re good to go. The WordPress back-end footer is perfect for adding custom copyright text and/or a link to your website. Snippets for functions.php file are a great way to improve a website and make it easier for your client to manage the content.